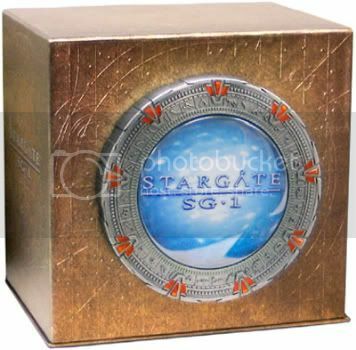 Geek Steal: 70% off Stargate SG-1 - The Complete Series Collection! Holy geez. For today only, Amazon has Stargate SG-1 – The Complete Series Collection DVD set on sale for just $99.99, which is 70% off the list price and $130 off yesterday’s price of $229.99. Could it be? Would it be? Meh, probably not. $99.99 is a great price, but I can still only afford to trade in hugs and pseudo-scholarly insights. Curse this economy! actually if you look close you’ll see that the list price is $329.98 and the savings is $229.98! even more kudos to GWS for passing this one along!! 10 seasons and 3 bonus disks for $100 is a steal any way you look at it! @leiagirl And if you look even more closely, you’ll see that the list price and yesterday’s price are two different things. But I’ll let this indiscretion pass since I find your enthusiasm so charming. And, you know… you stroked my ego and everything. Previous post: Cobra Commander’s Identity Revealed!